Elon Musk has received approval to build a test tunnel in L.A. - Archpaper.com Elon Musk has received approval to build a test tunnel in L.A.
Elon Musk’s Boring Company receives approval to build a test tunnel in L.A.
Elon Musk’s The Boring Company—a tunnel-focused start-up aimed at reducing the overall cost of building underground tunnels in urban areas—has received approval from the Hawthorne City Council in Los Angeles County to build an initial two-mile-long test tunnel under the city’s streets. The approval was made this week and would allow Musk’s Boring Company to extend an ongoing pilot tunnel being dug on the site of the company’s headquarters in Hawthrone, near Los Angeles International Airport. 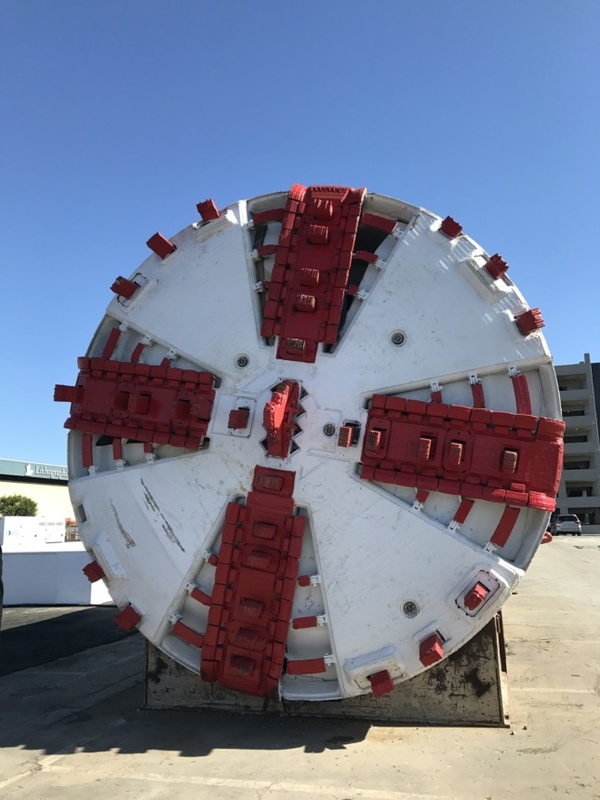 The company is building the tunnel using a second-hand boring machine that was originally used to dig a sewer tunnel in San Francisco, Daily Breeze reports. The souped-up boring machine is named “Godot” and is designed to dig tunnels that measure 14 feet in diameter, 50 percent narrower than traditional subway tunnels. 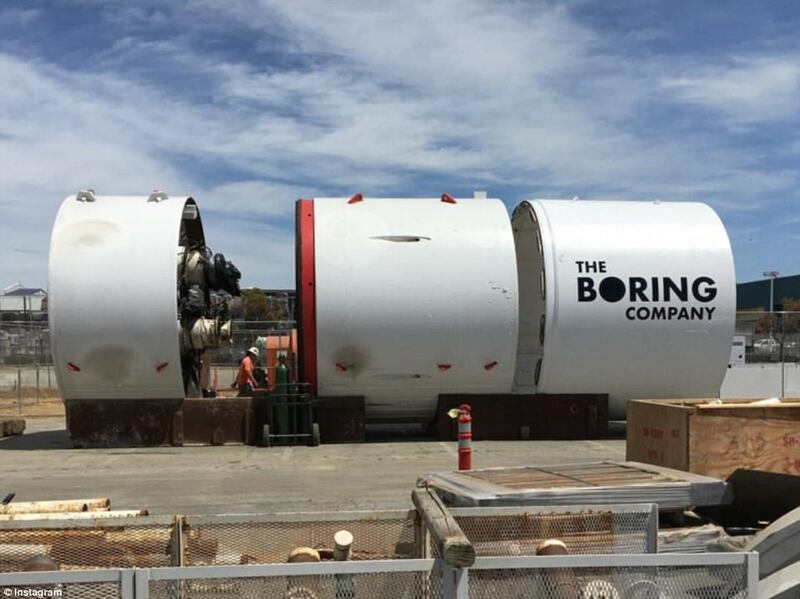 The smaller diameter is expected to bring costs down considerably, reducing costs three to four times compared to traditional methods, according to The Boring Company website. In recent weeks, the company took to building a shaft and a 160-foot-long tunnel on the property, a passage that will be extended underneath local city streets as soon as is feasible. With the approval comes a series of new details surrounding Musk’s plan, including a proposal for a new type of autonomous vehicle system that would allow the entire system to function seamlessly. 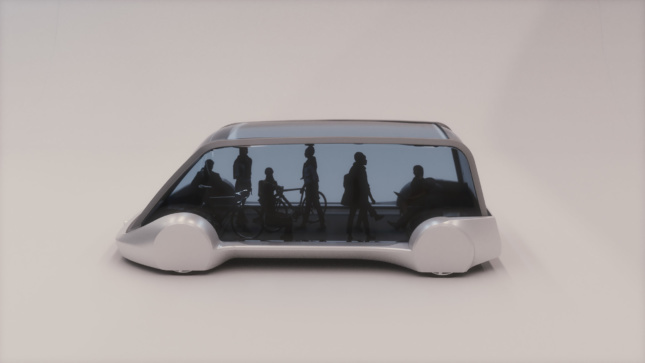 The 14-foot wide vehicle would consist of an automated platform that can hold pedestrian passengers and bicyclists. These so-called “Skates” would travel in the tunnels and be capable of carrying people, vehicles, as well as other types of freight. The tunnels are also being planned to reuse excavated dirt from the construction process into site-cast building blocks that can be used to line the tunnel interiors in lieu of conventional concrete coatings. Musk also expects that the tunnels will be a useful way of extending a proposed Hyperloop network into dense urban areas. Brett Horton, SpaceX’s head of construction, said in a statement, “We won’t have construction crews walking down the street, we won’t have any trucks or excavators working in those areas.” Instead of performing labor-intensive and traffic-snarling decking procedures like those involved with traditional subway construction, “Everything that we’re doing is underground,” Horton explained. For now, construction on the tunnels continues.